Seventy kilometres from Phong Nha - Ke Bang National Park and next to Tan Hoa commune in Quang Binh province, Tu Lan has a network of caves, limestone mountains, waterfalls, and primeval forest. Time spent at Tu Lan is time spent returning to a peaceful life amid nature. 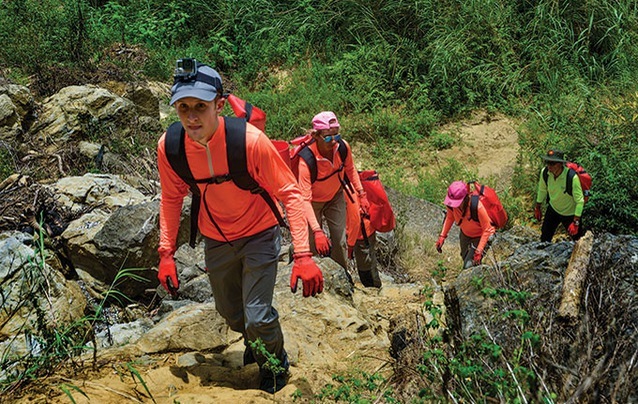 Adventurers must trek along 12 km of mountain roads and cross streams and rivers to reach caves such as Hung Ton, Ken, Kim, and Tu Lan. Camping at the Tu Lam campsite is popular and where adventurers settle in with a tea or coffee before swimming into Ken Cave to the photo point where a famous image was taken. They can then swim at the base of a small waterfall near the camp. Tu Lan expeditions are organised by the Quang Binh-based Oxalis Company and held from February to August (closed from September to January). Discovering the ancestral tradition of indigo dyeing and batik with H’mong people.